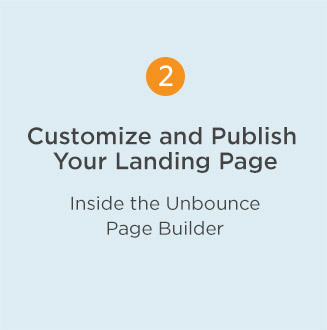 The Unbounce Builder includes a large selection of popup templates that are built to drive conversions. 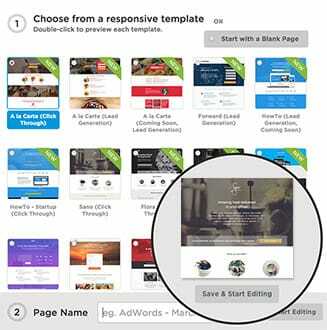 Make any template your own with our customizable drag and drop interface. Want to make contact? 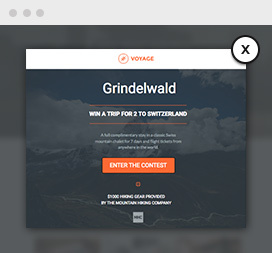 Use this popup to invite your visitors to get in touch directly. 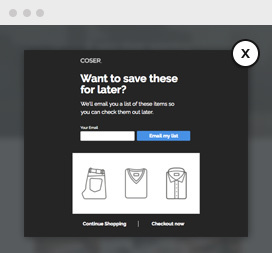 Offer your visitors a discount code to encourage them to bring out the credit card. 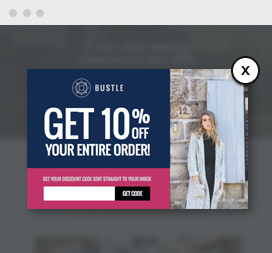 Who doesn’t love a good flash sale? 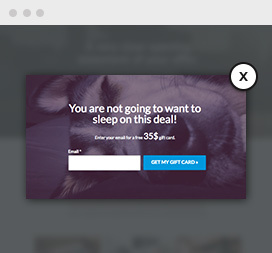 Make sure that your visitors don’t miss your limited-time offers with this popup. 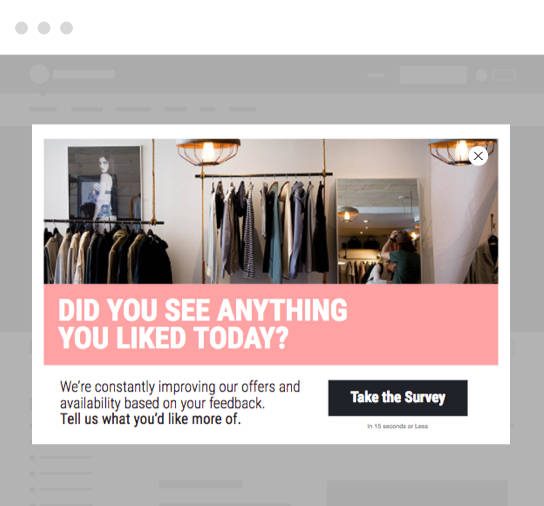 To promote a survey on your page, use this popup to allow your visitors to click through and offer feedback. 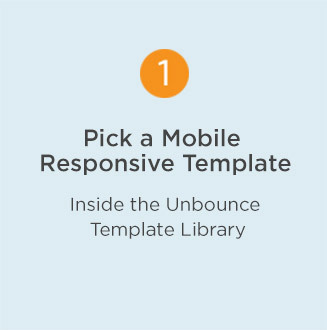 Focus attention on your ebook content with this minimalist popup. Sometimes, people just need a little time. 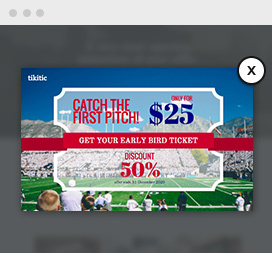 Give your prospects the option of saving this offer for later. 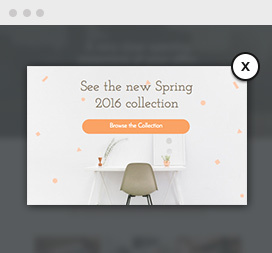 A poppy and bright popup design with plenty of space for eye-catching imagery, well-suited to ecommerce. 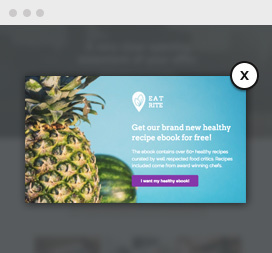 Highlight your hottest content with this lead gen popup, complete with a built-in mobile device frame for your imagery. 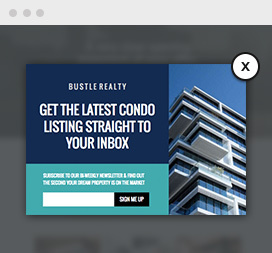 High-rise your conversions with this lead capturing popup template that’s ready-to-use for real estate offers. 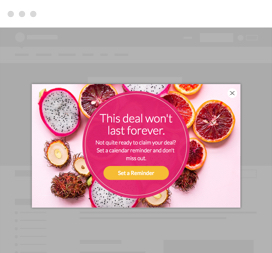 Apply a custom color filter over this popup’s full-width image background for a stylish, customizable lead-capturing form. 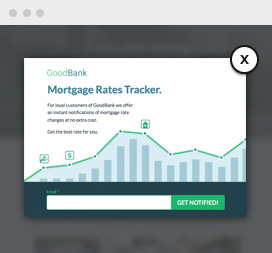 This lead generating popup is a great fit for banks, insurance brokers and other financial institutions. Have a lot to say? 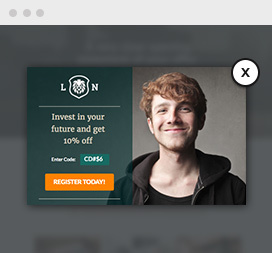 This extra-tall popup has enough space for your branding, a lengthy description and a prominent call to action. 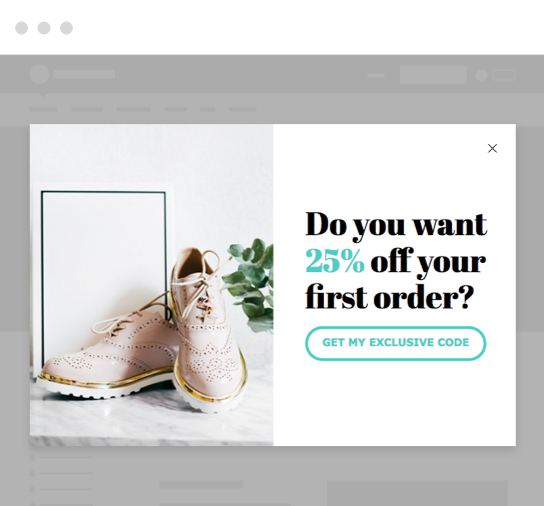 Don’t let your next sale fly away; keep your visitors on-site with this popup template featuring a secondary call to action. 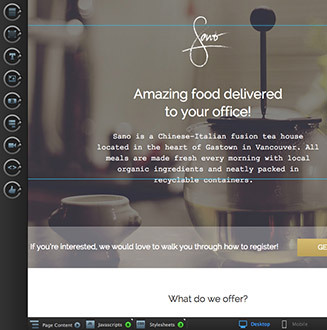 This popup template will capture your prospects’ attention with its commanding typography and full-width background image. 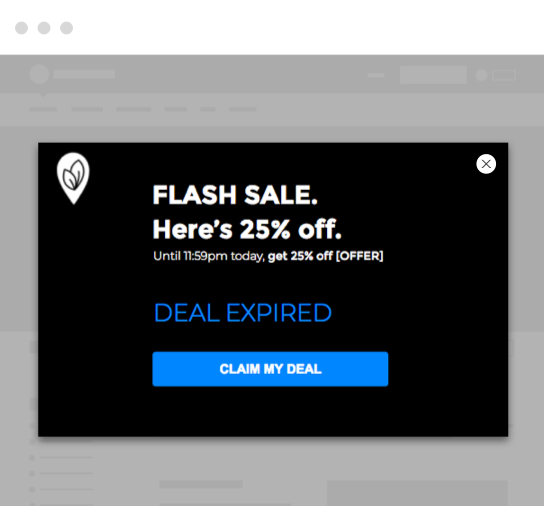 Capture revenue from would-be abandoners with a popup that saves the sale with a compelling offer. 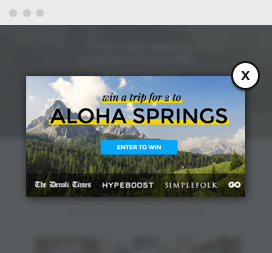 Present an irresistible offer to prospects with this lead generating popup that’s perfect for newsletter signups. 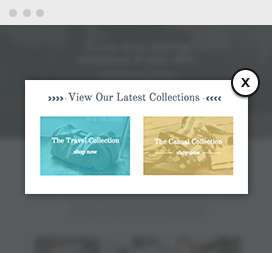 Bold shapes and typography make this popup a standout choice for guiding visitors to a high-converting page. 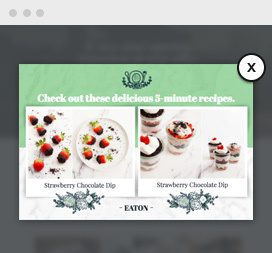 A no-nonsense popup that sends a clear message through concise copy and a large promotional image. 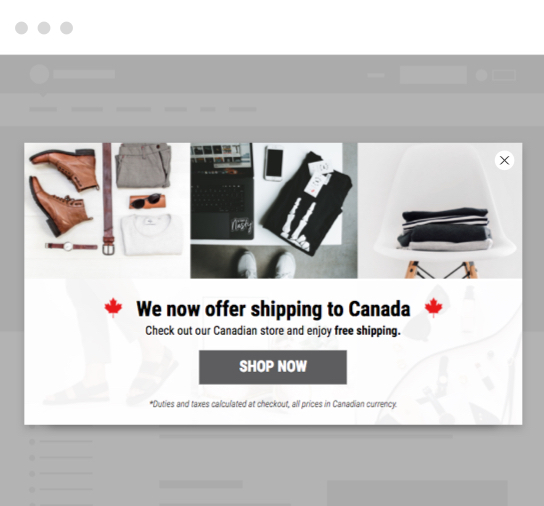 Use this spacious popup template to provide prospects with plenty of context that will convince them to click and convert. 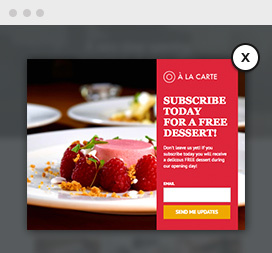 An unmissable popup template that commands attention with its bright colours and large imagery. 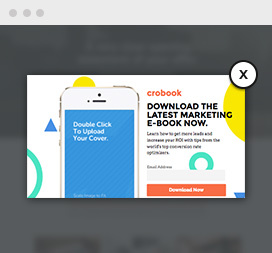 An ultra-clean popup template that leaves plenty of room for what matters: your product and your call to action. 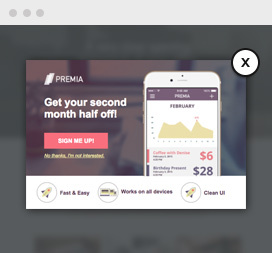 With plenty of space for features and screenshots, this popup is perfect for promoting digital products and services. 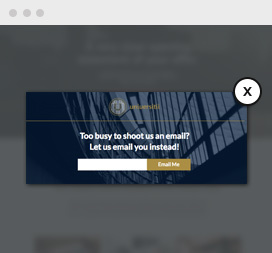 An editorially-styled popup template with a razor-sharp focus: a bold headline, a powerful image, and a compelling call to action. 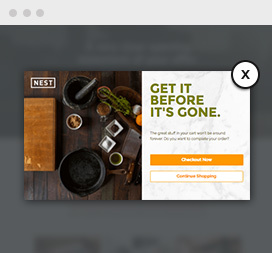 A versatile popup template that checks all the boxes with plenty of space for copy, your branding, and a prominent background image. 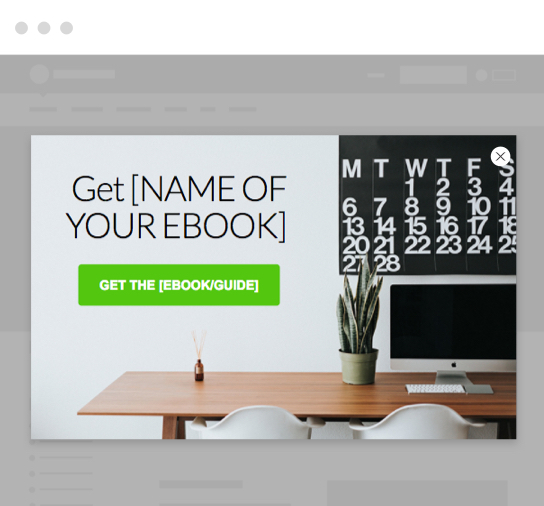 This space-saving template contains the bare lead generating essentials: a single line of copy, a single form field, and a single CTA. 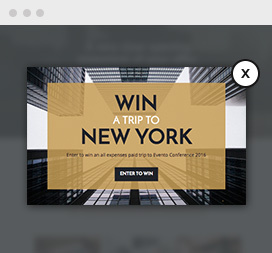 The ultimate popup for content promotion, with an included mobile device frame and plenty of space to summarize your magnum opus. 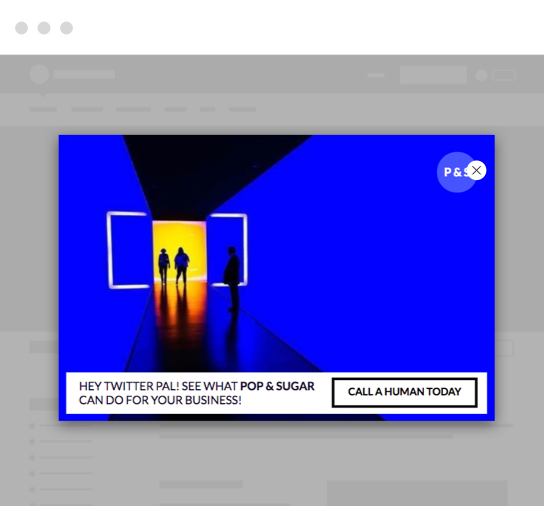 A minimalist popup that makes it easy to promote your content with two image-based calls to action. 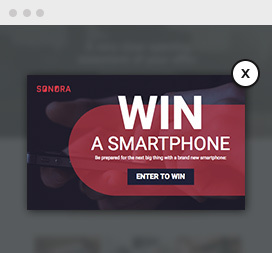 Don’t let a single click go to waste. 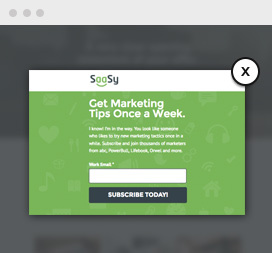 This popup features both a lead capture form and two secondary CTAs to keep visitors on your site. 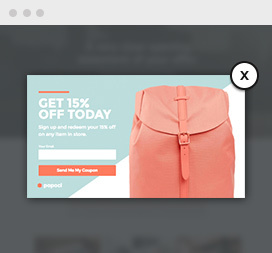 This popup’s trendy design and spacious layout make it the perfect choice to promote your online store’s latest deal. 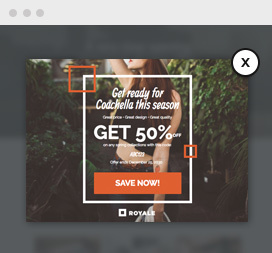 A bold popup template that’s perfect for promoting events, contests, or your online store’s latest and greatest deal. 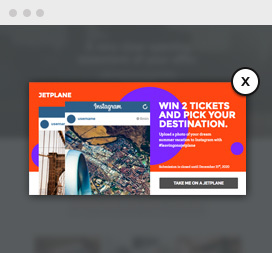 Not every link is for everyone. 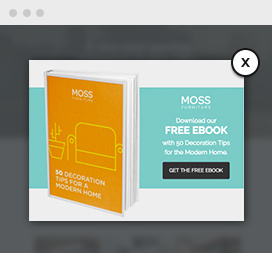 That’s why this popup template has room for two graphic CTAs to keep your visitors on-site. Running a webinar or event? 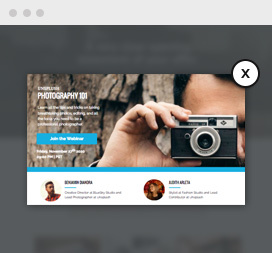 Promote it with a popup template that fits your title, event description, call to action and even host information. 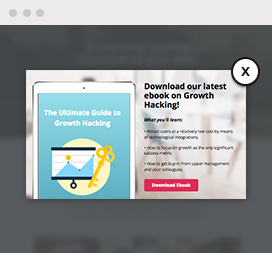 A no-nonsense lead generation popup that puts your prospects’ attention where it belongs: on your offer.